The Trout Run Trail is an 11-mile trail that surrounds Decorah, Iowa. This trail is a popular with locals and tourists who enjoy the beautiful views and opportunities for kayaking, fishing, and mountain biking. The Trail zigzags across several streams near the Upper Iowa River and is named the Trout Run Trail because the second largest trout hatchery (Iowa DNR Trout Hatchery at Siewer Springs) in Iowa is located nearby. The trail was funded through 3 Transportation Enhancements awards from 2006-2011 totaling $1.58 million which were matched by $1.85 million in local funds for a total of $3.43. 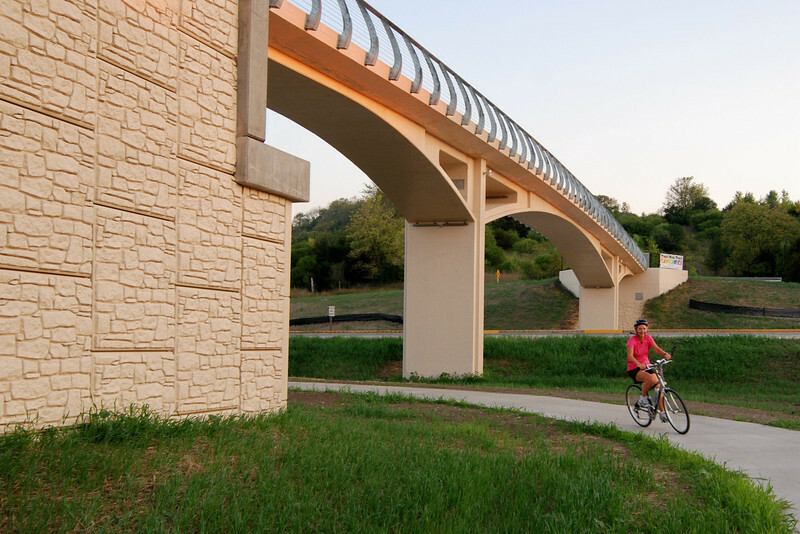 Additional funding came from Vision Iowa, Iowa Great Places, REAP, and State Trail Grants. These projects helped to fund the paving of the trail as well as the construction of a bicycle and pedestrian bridge over Highway 9. Along the trail are 3 public art installations which help to improve the character of the trail.